This owl tea light is a very pretty accessory for your home. 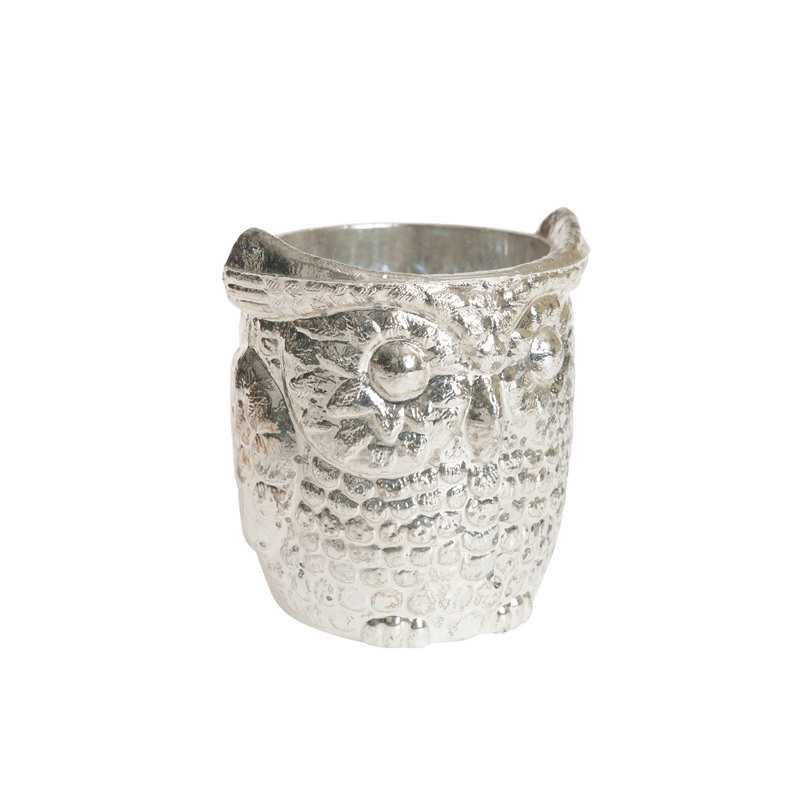 Made from glass, this owl tea light has a silver finish to add some extra glamour perfect for holding any tea light candles. Perfect gift for animal lovers, matching owl decorations available.